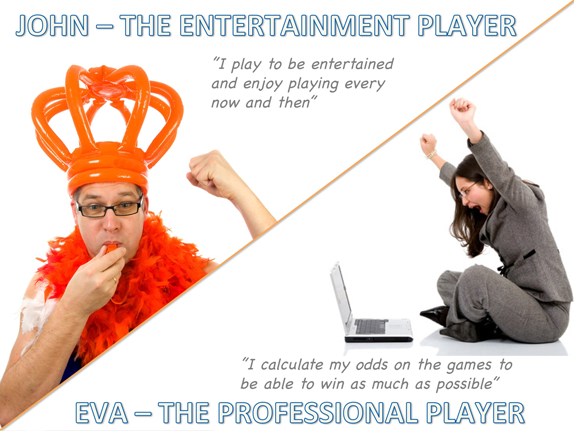 Personas help you build great igaming products! Have you got a clear understanding of who is using your site? Why they play? How they play? If you do then you are well off, but many igaming companies today don’t. They think all players are just as important. They are not! Gaming portals target different players depending on a number of factors, including your business goals and your brand. So you need to know about your players to be able to create a great player experience. Image 1. Who is your target group? In the image above you see two different personas for which the design and layout of the gaming portal shouldn’t be the same. So start doing target group analysis and prioritize them before your next project. It will be worth the effort! Ps. If you need help creating personas then let me know, we at inUse are really good at it! 😉 Ds.